The Uttar Pradesh Assembly today passed a bill to award death penalty and life imprisonment to those dealing in spurious liquor if its consumption leads to any death. 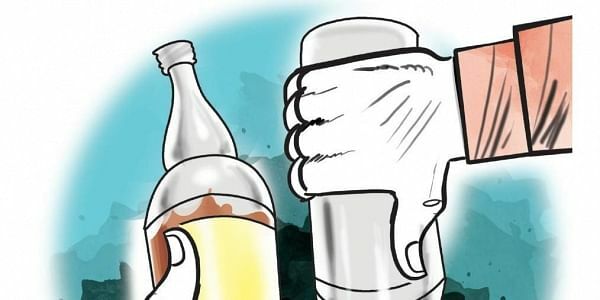 LUCKNOW: The Uttar Pradesh Assembly today passed a bill to award death penalty and life imprisonment to those dealing in spurious liquor if its consumption leads to any death. The UP Excise (Amendment) Bill 2017, which was tabled in the House yesterday by Parliamentary Affairs Minister Suresh Khanna repealing the ordinance brought by the government in September in this regard was passed by a voice vote. The bill provides for death penalty, life sentence and fine to the tune of Rs 10 lakh and not less than Rs five lakh in case of death caused due to consumption of spurious liquor. It also provides for rigourous imprisonment up to 10 years and not less than six years in case of disability caused by consumption of spurious liquor and fine to the tune of Rs five lakh and not less than Rs three lakh. Earlier in September, the state government had promulgated an ordinance for amending the UP Excise Act with some cases of death and disability due to hooch being reported in the state. Today's bill seeks to further strengthen the penal provisions to deal with those involved in illicit or spurious liquor. After Delhi and Gujarat, UP will be the third state where bootleggers may be sent to the gallows, if consumption of spurious liquor leads to a loss of life. Hooch tragedies take a heavy toll every year in Uttar Pradesh. In July, 17 people died in Azamgarh after they consumed spurious liquor. In 2015, 28 people were killed in a similar incident in the Malihabad area of Lucknow. The Assembly also passed UP Criminal Law Composition of Offences and Abetment of Trials (Amendment) Bill 2017. The bill pertains to abetment of certain proceedings pending before the magistrate till December 31, 2015. There are about 20,000 such pending cases. Chief Minister Yogi Adityanth had yesterday announced in the House that the government will bring a bill to abolish political cases.